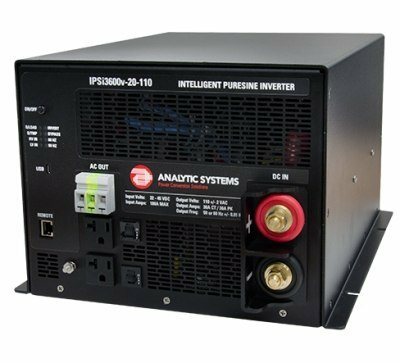 3600 Watt Heavy industry and military grade pure sine wave DC/AC inverters, 28VDC, 48VDC and 125VDC with 115VAC and 220VAC Versions, C.O.T.S. Suitable for any computer that requires less than 3600 watts continuous. Very rugged and reliable, conformal coated electronics. Two standard AC sockets plus a "hard-wire" connector.